Whether you have a half bath you want to convert into a full bath or a small bathroom in need of a makeover, there are several different bath and shower options. Your objective should be to make sure you have plenty of space left after the remodel. The last thing you want is to feel overcrowded and cramped. The first thing you need to decide is the type of shower and tub you want. Do you want to look at combination tub and shower units? Maybe you would prefer a separate tub and shower. It is essential to make this decision before you start your redesign. This will help you determine the best way to make everything fit. Once you know what type of shower and tub you want, the next step is to evaluate the current bathroom space. Can you effectively work in this space or would you like to make the bathroom bigger? 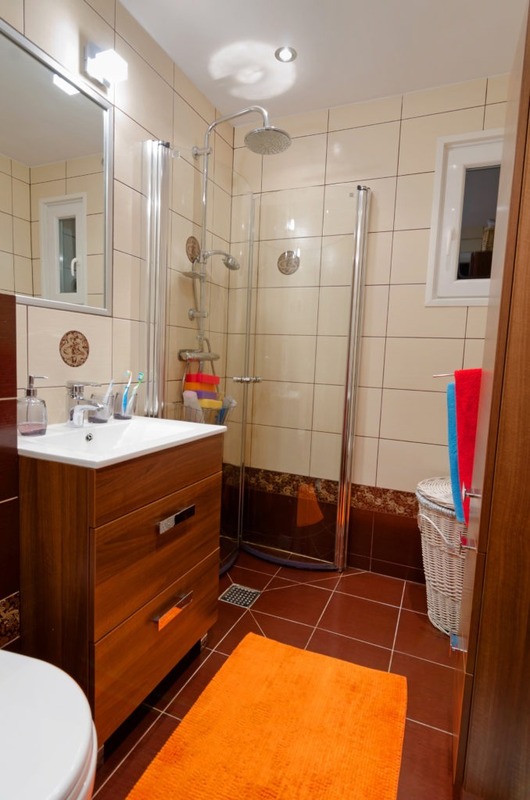 If the bathroom space is sufficient, then the remodel will be a bit easier, although you may still want to explore the solutions of how to get more bathroom space, which follow. For a downstairs bathroom that is next to the stairs, you could possibly knock down the wall and expand the bathroom into the space under the stairs. Another possible solution is if there is a hallway closet next to the bathroom. You could get rid of the closet and use this space to expand the bathroom. In bathrooms that have linen closets in them, you can remove those and reclaim bathroom space. Before you discard this tip, consider all of the valuable wall space that goes unused. You could put in shelving on the walls or even above the door to have storage space for items currently in the linen closets. There are also small, wall-mountable linen cabinets you could hang on the walls. You do not have to have a square shower or a rectangular tub design. Angling the shower or the placement of the tub can make it fit better into the bathroom without overcrowding the space. Another great option is to angle the sink cabinet and countertop after downsizing to a smaller sized sink. One current design trend when you want a separate tub and shower is to place them in the same space. In other words, you set the tub inside the shower. Granted, the shower has to be a bit bigger so you can still have room to shower without getting into the tub. As you can see, there are several different options for fitting a tub and shower into a small bathroom. 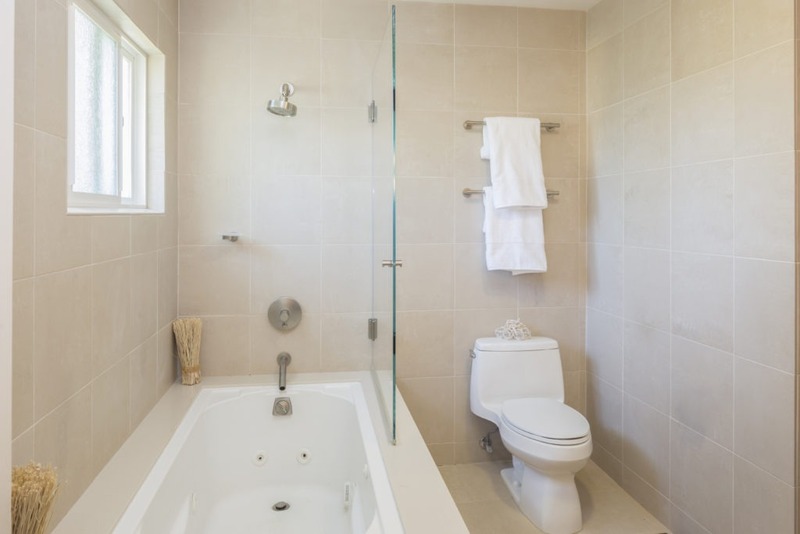 For assistance in selecting tub and shower enclosures, shower wall kits, stand-alone shower pans, and other bathroom accessories, please feel free to contact American Bath Enterprises, Inc. at (888) 228-4925 now!